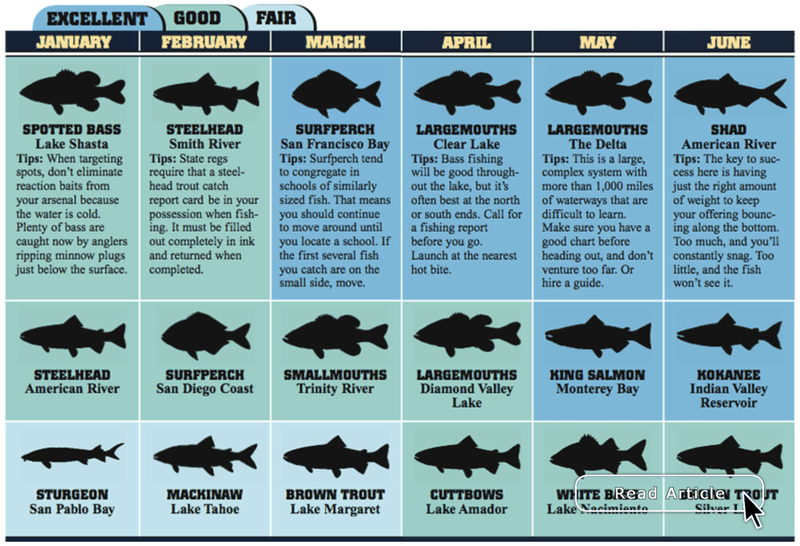 The best fishing '– and the best locations '– for every month of the year. Though this article was researched and written ten years ago, you'll find that each of these fisheries continues to hold its own today. Whether you're looking for limits or trophies in 2018, this by-the-month calendar of adventures will put you in the right places at the right times. Most fly fishing enthusiasts know that the Clouser Deep Minnow, widely viewed as one of the top flies for both fresh and saltwater gamefish, was invented by Pensilvania guide Bob Clouser. But did you know that it was originally intended for smallmouth bass on the Susquehanna River? 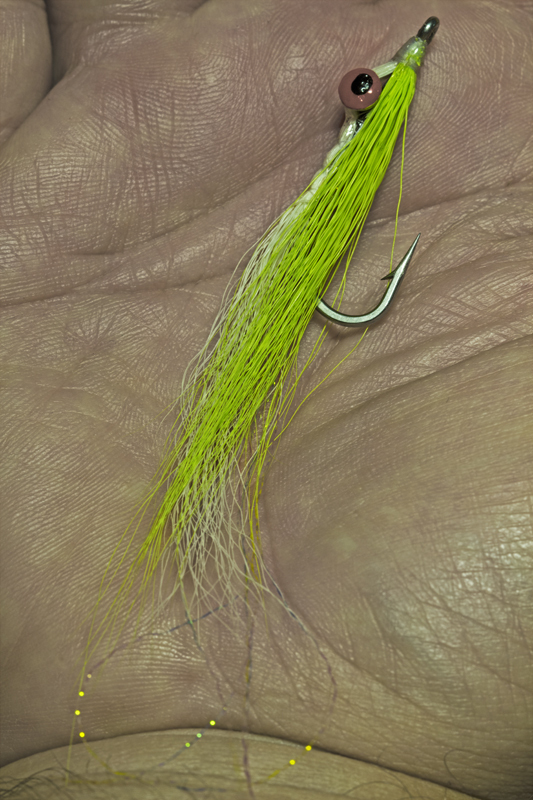 The first Clouser Deep Minnows were tied using bucktail and krystal flash. Current versions, however, are available in a variety of colors thanks to the widespread availability of synthetic hair-like materials. Use flash under bright conditions. Your camera's flash isn't for nighttime and low-light photography alone. Camera flash is essential for revealing detail that will otherwise be lost when bright light (both natural and artificial) casts harsh shadows on a subject. Known by most as 'fill flash' the burst of light from your camera can effectively reduce contrast by brightening dark shadows. Outdoor, daytime portraits where facial features often create noticeable murky areas are the best example. Photos of people wearing hats are another classic case where fill flash greatly enhances the end result. The key to successfully using your flash to reduce shadows under bright light conditions is the distance of your subject – for the best outcome make sure that you're 3- to 12-feet away from what your photographing. Another year has past and we're all getting into that holiday spirit. 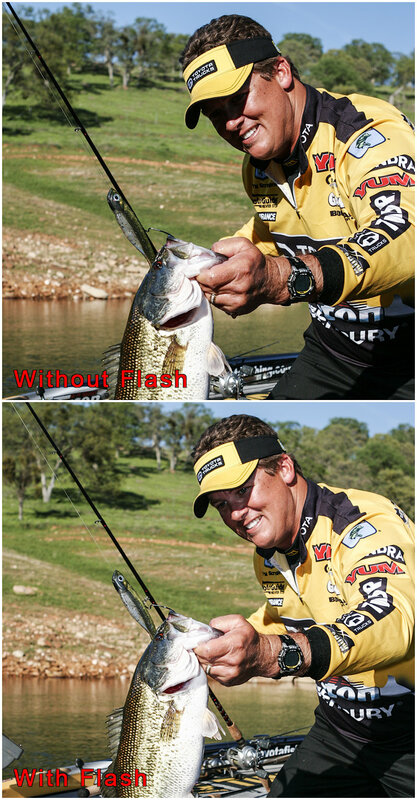 If you have trouble finding the perfect gift for that angler in your life (you know, the one that already has every fishing rod, reel and lure known to man), then we have something for you. 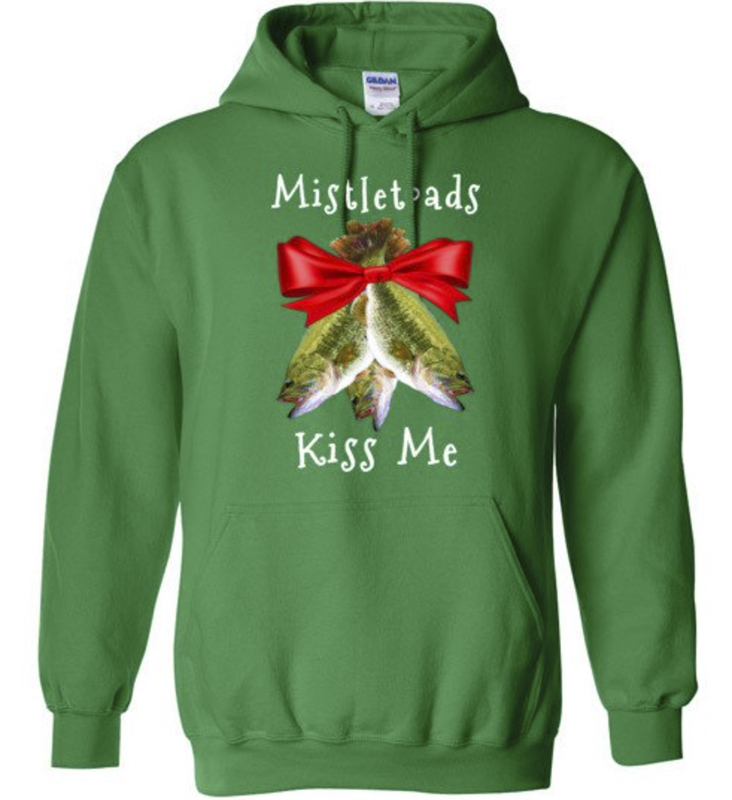 The Mistletoads, Kiss Me graphic features three bass tied neatly in a bow. Available on long-sleeve t's, sweatshirts and hoodies in a variety of colors and sizes.